A retrofit double glazing installation in Sydney by Magnetite was recently honoured at the Australian Window Association Design Awards 2015. Magnetite’s installation at 5 Martin Place, Sydney won the title of Best Use of Windows and Doors in a Commercial Renovation. The award recognises glazing products that complement and enhance the design of a dwelling or building. 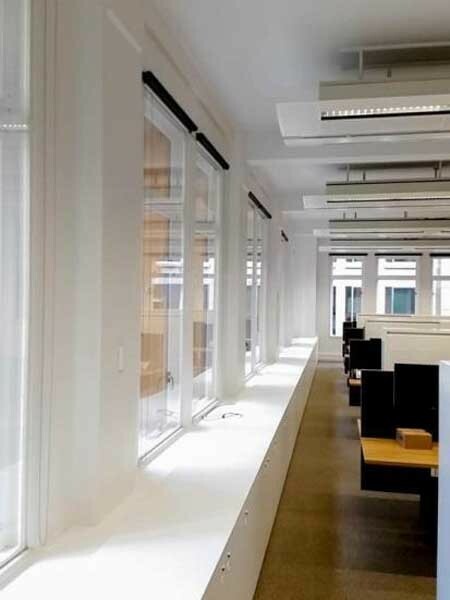 For the refurbishment at 5 Martin Place in Sydney’s CBD, Magnetite retrofitted its slimline secondary double glazing to 362 heritage windows, accentuating the historic look and feel of the building. Magnetite was chosen for acoustics, aesthetics and energy efficiency, helping to achieve Green Star certification for the landmark building. A special mar-resistant glazing manufactured by Mitsubishi Rayon was imported specifically for this project to ensure durability and consistency in the product. Magnetite’s Commercial Project Manager for 5 Martin Place, Adrian Lafleur explained that heritage architects TKD Architects sought to retain the heritage windows in the project. Once Magnetite proved the effectiveness of their solution, the architects were keen to use the product as it had the least visual impact on the heritage windows.